How does a social work student make the connection between sociological knowledge and day-to-day social work? 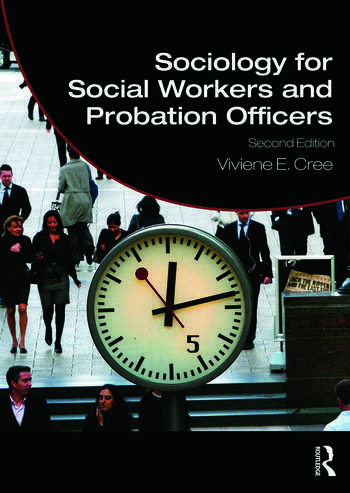 Sociology for Social Workers and Probation Officers provides an introduction to sociological ideas and research and places them firmly into the context of actual social work practice. It encourages readers to develop critical awareness and reach their own judgements about the usefulness and implications of holding certain conceptual positions and shows how social work can be better informed and improved by doing so. Essential reading for all social work and probation studies students, this text looks beyond individual and psychological explanations and solutions to develop a sociological knowledge base for social work practice. Viviene E. Cree is Professor of Social Work Studies at the University of Edinburgh, UK. She is the editor of Social Work: A Reader and Becoming a Social Worker and co-author of Social Work: Voices from the Inside, all published by Routledge. She is also co-author of Social Work: Making a Difference and co-editor of the series Social Work in Practice, published jointly by BASW and the Policy Press.